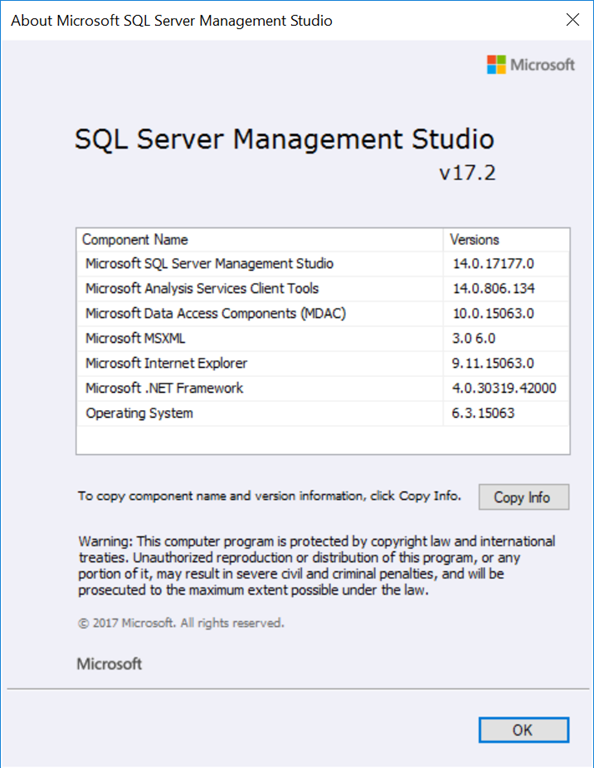 This week we see an update for SQL Server Management Studio, version 17.2. This release is the latest generation of SQL Server Management Studio and provides support for SQL Server 2017. 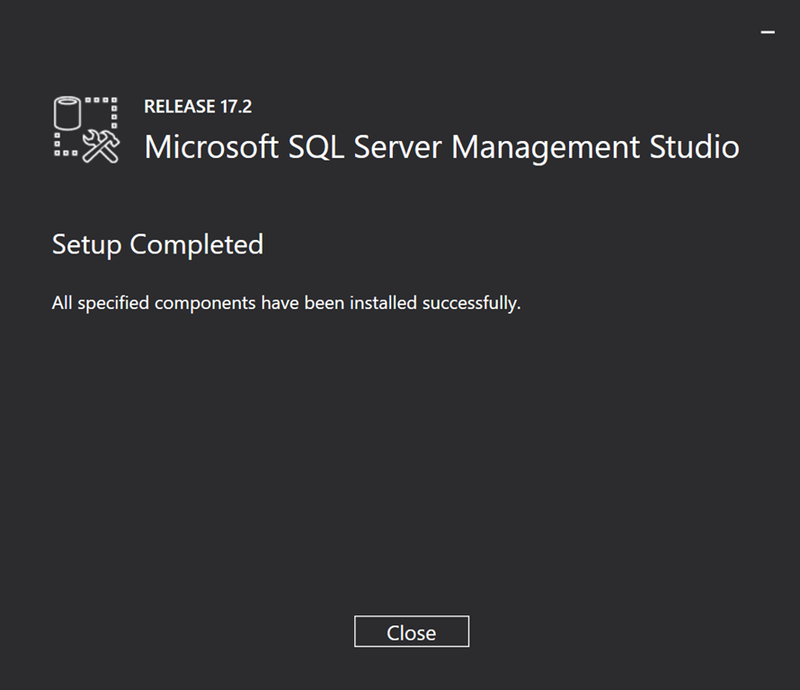 For the full list of changes, see SQL Server Management Studio – Changelog (SSMS). Head over to https://docs.microsoft.com/en-us/sql/ssms/download-sql-server-management-studio-ssms and you will find two links for installation. 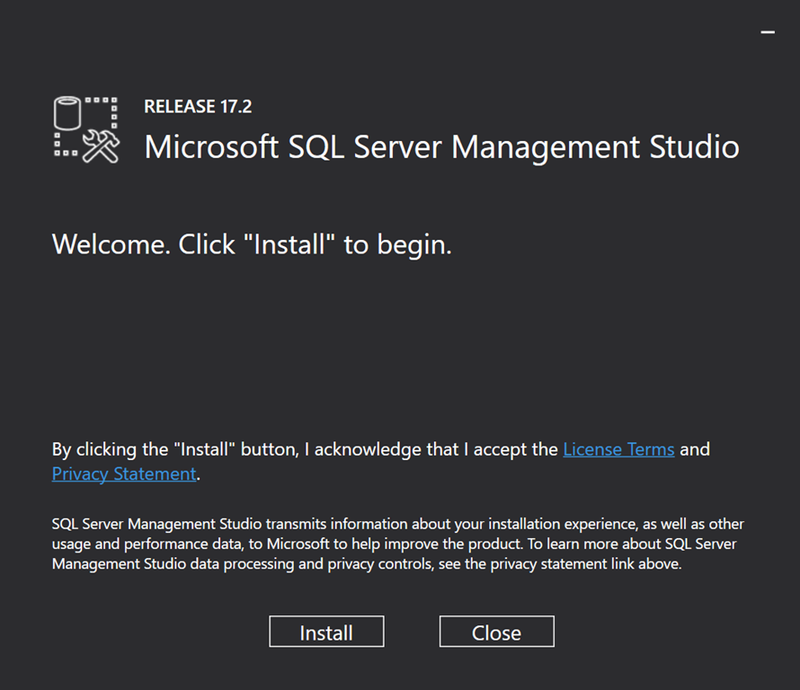 The first links downloads and installs SSMS 17.2 where as the second link will update an existing 17.x installation. 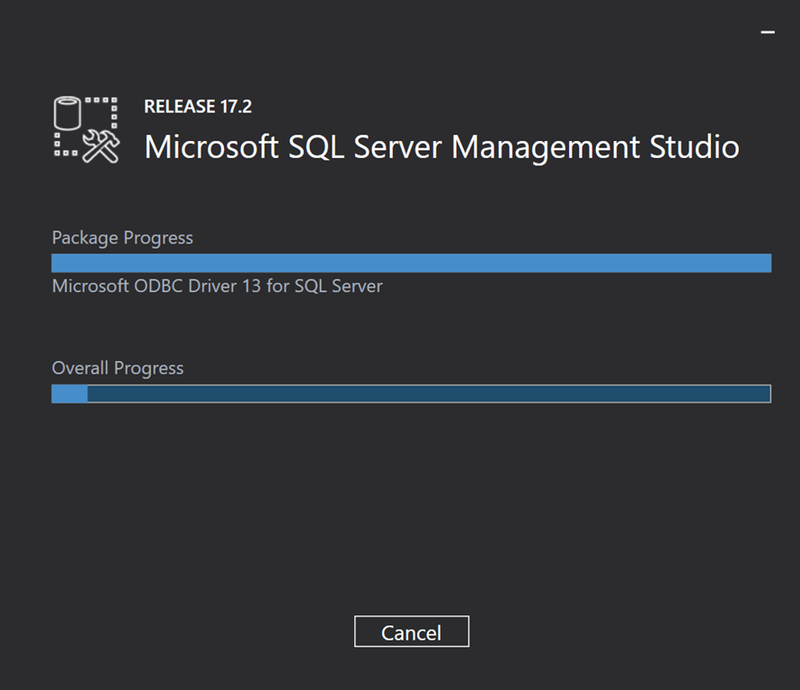 Sadly we still don’t have an official Dark theme for SQL Server Management Studio. I recall reading comments from the SQL team last year that they needed to do work on all the dialogs before releasing this theme. If the base SSMS IDE supports the Dark theme than just release it You can work on the dialogs as needed and provide them in future updates.